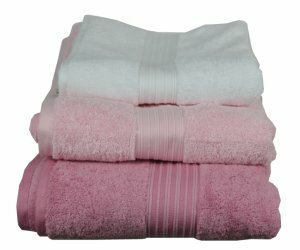 Although the Christy Supreme towel collection enjoyed a brief mention in our previous blog “An Introduction to Towels”, it really is a collection that deserves a much more in-depth article of its very own in order to fully explain just how and why these towels are a must-have for the bathroom. The soft and fluffy Supreme towels are made using 100% Supima cotton, one of the most luxurious cottons in the world. Supima is an abbreviation for Superior Pima and it is a licensed trademark which can only be used on products made from 100% American Pima cotton, which is a variety of cotton which benefits from an extra-long staple. Fabrics made from the finer, longer staple length of the Pima cotton have a number of advantages over cotton with an average staple length. The staple is 35% than average cottons and this gives it a natural softness once it has been spun into a yarn because fewer fibre ends are exposed which reduces abrasion and pilling. The extra-long fibres are stronger and more resilient than shorter varieties and the fineness of the fibre means more can be woven into a yarn which will not only offer further durability but also means the colour of the fabric, when dyed, is brighter. 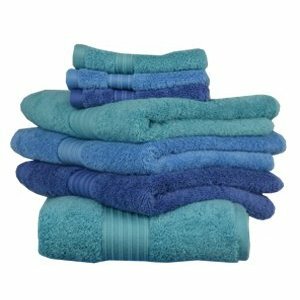 Furthermore, Christy Supreme towels use combed cotton. Once it is picked, the raw cotton is cleaned to remove dirt, debris and seeds from the fibres. It is then carded, a process which separates and aligns the fibres, and finally it is combed using fine brushes which remove any impurities and short fibres. Once the process is complete, only long, straight fibres which are evenly aligned are left behind, which are then spun into the thread that is used to make the towels. 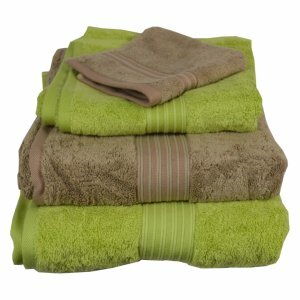 The Christy Supreme towels are available in 4 sizes: face towel, hand towel, bath towel and bath sheet. The face towel measures 33cm x 33cm, the hand towel measures 50cm x 100cm, the bath towel measures 75cm, x 137cm and the bath sheet measures 90cm x 165cm. There is an impressive range of 13 colours to choose from, including varying shades and depths of pink, blue and green along with more neutral colours such as white, almond, mocha and stone or darker shades such as silver and graphite. The colour you choose is simply a matter of personal preference and also a question of what is going to look good in your bathroom, you could choose one colour to make a strong statement or you could opt for a few different colours to complement or contrast each other, for example the white, pink and blush towels would suit each other down to the ground whereas green tea and mocha make a wonderfully modern colour combination. Also available in the Christy Supreme collection is the incredibly popular Supreme Stripe design which is available in Neutral, which presents a combination of black, brown, grey and white, or Multi which is a vibrant blend of blues, reds and greens. By following the recommended washing instructions for your Christy towels you will guarantee long-lasting enjoyment and quality from the product. Ensure that you use the recommended amount of washing detergent and the recommended washing temperature to avoid the colour of your towel and limit the amount if fabric softener you use when washing as this kind of product can leave a coating on the towel as it contains silicone and this can restrict the absorbency and comfort of your towel. Do not use bleach on Christy Supreme towels as it will remove the colour permanently. It is also worth noting that bathroom products such as facial cleansers which contain Benzoyl Peroxide can have a similar effect to bleach, therefore if a product you are using does contain this ingredient it is important to thoroughly rinse it off before using your towel, otherwise it can also cause degradation to the colour. Although Christy Supreme towels are woven to avoid threads coming loose, if a thread should fray or come loose, do not pull it – snip it carefully with a sharp pair of scissors. 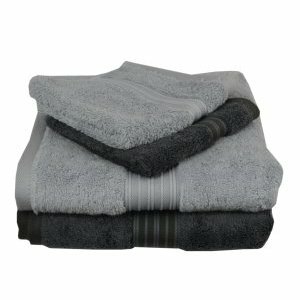 Christy Supreme towels can be tumble dried on a gentle heat which will give a luxuriously soft finish. Christy Supreme, Christy Supreme Stripe, Christy towels. Bookmark.